At the age of six, many children are concerned with toys and cartoons. While that may have (also) been true for 14-year-old producer LucyClubHouse, she was also doing something her peers weren’t — trying her hand at production. 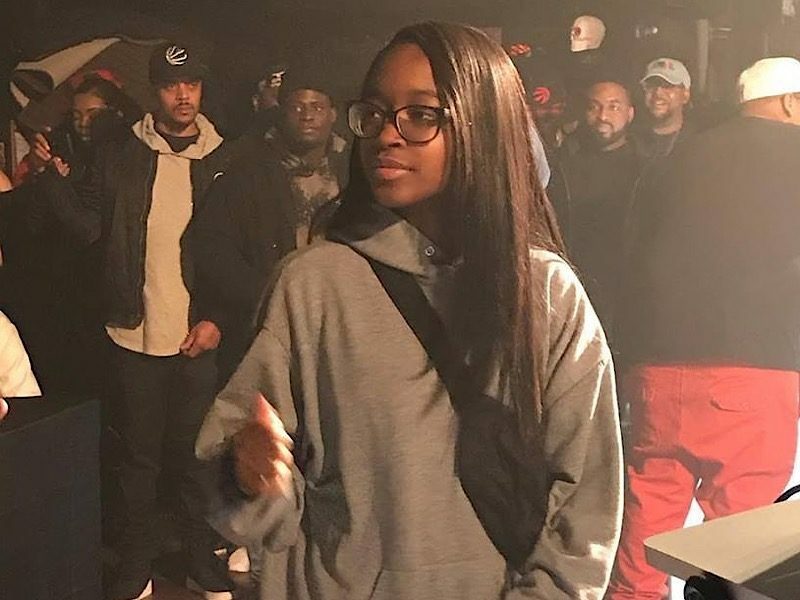 More astounding than the fact that she was able to brand her sound by the age of 11, is the fact that she’s been annihilating beat battles in 2018. It started with a win at SXSW, followed by the 6th annual Rapzilla battle at A3C in October, and most recently, winning the coveted title at the Battle Of The Beatmakers in Toronto — which in the past has launched the careers of names like Wondagurl and Boi-1da. Judged this year by !llmind, Just Blaze, and Mannie Fresh, Lucy became the youngest winner in the battle’s history. “My dad played a huge role in getting me involved with producing,” she says. Her father, Sivion — a Christian Hip Hop vet and member of the Hip Hop supergroup collective Deepspace5 — used to take Lucy to the studio with him. With a keen understanding of her sound, and the support of her parents, she definitely appears to have a bright future — as evidenced by the judges and crowds she’s wow’d in 2018. “As a mother, I am honored to be a part of her journey. We always knew she had a God-given gift for music,” her mother remarks to HipHopDX. As her father is on the road performing, she joined Lucy to Toronto, and joined her onstage as she accepted her trophy. It’s a humble sentiment from the young producer who reveals that she’s bowing out from beat battles — for now, anyway. However, she hopes to one day be able to put together her own battles as a way of paying it forward to the next generation of producers. With an EP coming soon, and a few other things in the works (which she’s remaining secretive about), she’s poised to be a producer whose name will ring soon enough.